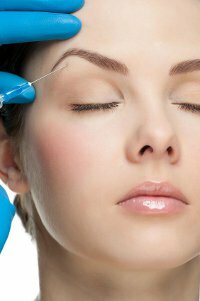 tour office, we offer select cosmetic procedures to help you look your best. Our trained physicians will meet with you to discuss your specific concerns and recommend treatments to address your aesthetic needs. Treatments offered include injectables like Botox, facial fillers like Juvederm, and the cutting-edge facial Platelet Rich Plasma (PRP) procedure that uses your body's own growth factors to help rejuvenate wrinkled, damaged or drooping skin. Botox treatments reduce deep 'stress' or 'expression' wrinkles between the eyebrows, crows feet around the eyes, and lines on the forehead, by targeting and decreasing hyperactivity of the facial muscles to give your skin a smooth, peaceful and relaxed look. Results can last for up to 6 months. Juvederm is an injectable gel, or "filler," which can help smooth out deep wrinkles in the forehead and smile lines around the nose and mouth. Juvederm is made of hyaluronic acid, a component found naturally in the skin. Treatments give your skin a full, supple appearance without decreasing muscle activity or reducing facial expressions. Our office also offers facial PRP which is a procedure where your own growth factors are harvested from your blood and injected back into the subcutaneous tissues to promote natural rejuvenation of the skin and facial collagen. Come in for a consultation and our physicians will take time to discuss these various options and talk about what is the best treatment to achieve your desired results.